Objects of desire: Gold medals for the Sochi 2014 Winter Olympics are shown from the front (left) and back. —A record number have been made for the Winter Games: 1,300. This is more than in years past because of the 12 new events debuting in Sochi, including ski slopestyle, luge team relay and ski halfpipe. —The 2014 medals use a combination of glass and metal to reflect the landscape of Sochi, with its snowy peaks and sandy beaches. Their “patchwork quilt” design aims to capture the various cultures and ethnicities of the Russian Federation. —The Olympic gold medals are not made of pure gold (and they haven’t been since 1912). Instead, they contain 525 grams of silver with a 960 hallmark and 6 grams of gold with a 999 hallmark, which is a purity standard for precious metals. —Some special commemorative medals will have pieces of the Chelyabinsk meteorite embedded in them, according to the BBC. The meteor fell from the sky last February and crashed into a lake, before a team hauled a large fragment to the surface last year. The silver medal design for the Sochi 2014 Winter Olympics. 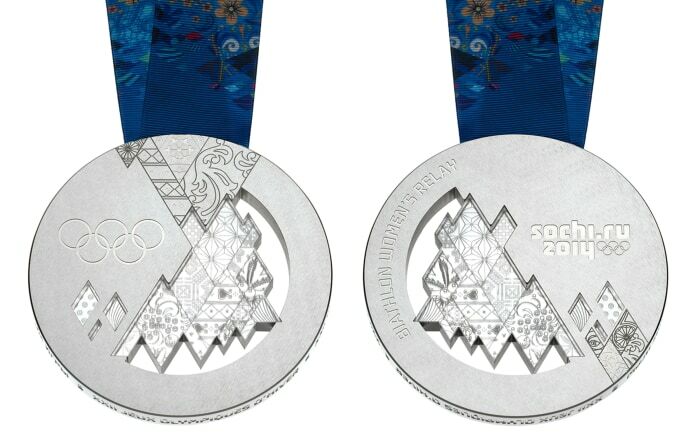 —The silver medals contain 525 grams of silver with a 960 hallmark and are worth about $338. —The bronze medals have a 460 hallmark and would be valued at less than $5. The bronze medal design for the Sochi 2014 Winter Olympics. 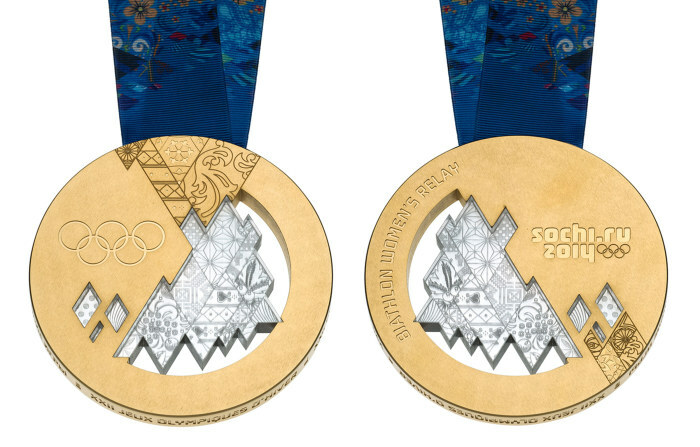 —Each medal is 10 millimeters thick and 100 millimeters in diameter. —If winning Olympians experience the pain of having their medals lost, stolen or damaged, they will receive special help. Insurer Liberty Mutual is partnering with the U.S. Olympic Committee to cover the medals at no cost to athletes for the 2014 and 2016 Games. Liberty Mutual will insure each medal for $5,000, factoring in the labor to make replicas and shipping costs.